Split into eight movements, Oneiric Rings On Grey Velvet is a pretty dense and murky soundtrack which incorporates elements of classical music, turntablism and electronic experimentations without ever settling on a particular theme. Petit uses his soundscapes to create a stark unsettling dreamworld from a vast array of textures and sounds which appear out of the blue but never seem to hang on for very long. What Petit does here is build a fluid nebulous sound pool where components are in turn fairly easy to identify or processed to such extend that their origin becomes unclear, assembled into pieces, or movements, which are primarily meant to be heard as a whole rather than individually. Petit establishes the atmospheric set up of this record slowly, with delicate touches layered to form the backbone of this soundtrack. Anything can happen in such a volatile piece; voices (a woman first, caught crying perhaps, or in the midst of a moment of passion, then a baby, then the growls and pants of a man), buried deep into thick layers of other sounds and noises, can be heard on Movement 4 and 6, fragments of melody scattered across the whole record, unnerving sonic effusions on Movement 7… everything is done here to build up a disturbing atmosphere and retain it throughout. And, like in dreams, everything appears slightly distorted, with no firm connection to anything else around. The soundscapes are far too wavering to qualify as drones, yet they have some of their inherent static qualities. Equally, there is never anything that resembles a proper melodic progression here, but, throughout, there are patterns which could, if isolated and developed, become infinitely more substantial. 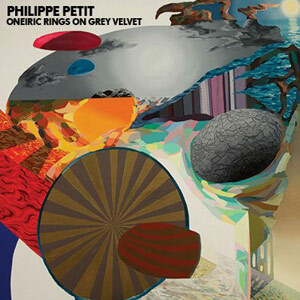 All through this record, Petit plays with perceptions, crystallised in the actual quality of the recording itself, which, whilst sounding extremely ambitious and rich, also manages to appear somewhat lo-fi. It is as if nothing really made sense here, yet every component has a very precise and defined role to play to give the entire work a meaning. 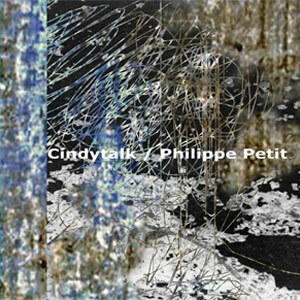 Philippe Petit’s collaboration with Cindytalk’s Gordon Sharp, published at the end of last year on Lumberton Trading Co. revolves around a similar atmospheric and textural set up, and their soundscapes are equally as complex and feverish, but the underlying psychedelic slant of Petit’s solo effort is replaced with much earthier components. A piano can distinctly be heard on the first of the two tracks, Nanook Mit Uentshukumishiteu, drawing a clumsy path for itself amidst an increasingly dense cloud of electronics, then radiating warmth through the layers of grit and statics on A Wolf In Wolf’s Clothing. This sustained injection of reality into these otherwise abstract pieces is not quite as straightforward as one would think, and it feels at times that the contrast threatens the balance of these pieces, especially when the piano become more assured towards the end of Nanook Mit Uentshukumishiteu, but ultimately, the pair hold their frameworks very well and offer, with this EP, an all-too short collection of refined atmospheric experiments. 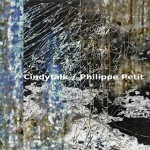 Philippe Petit | Cindytalk | Aagoo Records | Lumberton Trading Co.